Palm Beach is home to the never-ending Aussie TV show “Home and Away”, which is a popular hit in the UK and Ireland. On any given day, you’ll see tourists walking around looking for sites and actors from the show. If YOU want to feel like a celebrity while getting your teeth treated, why not visit us at Mona Vale Dental? We’re one of the best dental practices in the Northern Beaches. 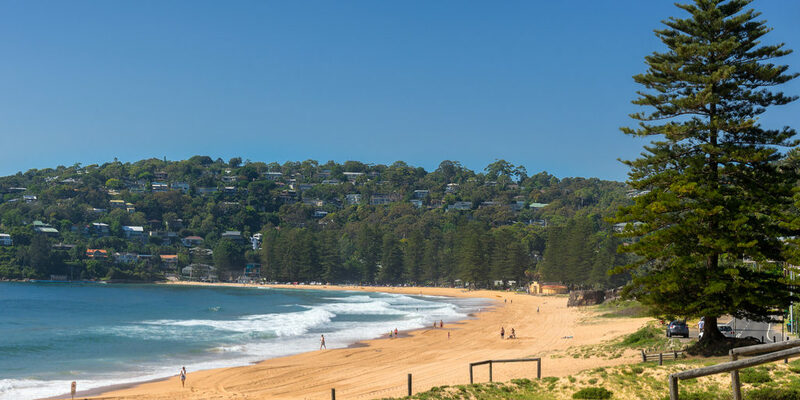 How to get to Mona Vale Dental from Palm Beach? It will take you 20 minutes to reach us by car. You can park outside our building, which is off Bungan Lane (see our map below). Our address is 8-10 Waratah Street, Mona Vale. We’re located on the first floor, right above Bakers Delight. There are a few bus stops on both sides of Pittwater Road, for those who are travelling by public transport. At Mona Vale Dental, we always put our patients first. Our mission is for you to feel comfortable and supported while we take care of your dental health. It’s the small touches that help you feel welcome and relaxed, like the complimentary Wi-Fi, Netflix, music and TV shows that you can tune into. Our highly trained team consistently provide the best dental care to thousands of people from Palm Beach to Manly. We’re passionate about technological innovation and we’re committed to improving your oral health. Dr Graham is determined to make sure all his patients receive optimal care, tailored to their individual needs. You will walk away knowing that your mouth is in good hands, thanks to Alistair’s extensive experience in general dentistry. He’s passionate about using the best technology and even lectures about different dental topics. Your visit is guaranteed to be positive, regardless of the reason you’re coming in. If you’d like to book an appointment with our team, please call (02) 9997 1100. Our clinic is open Monday to Friday from 8:30 am to 5 pm. You can expect to receive a welcome pack from us before your appointment. We will send this via post or email, depending on your preference. We’ll ask you to fill out a medical history form when you arrive, so we understand the bigger picture. Your previous dental records can also be sent to us if you agree to fill out a ‘Release of Records’ form. During your first appointment, we’ll assess the state of your mouth and identify any problems you have. This can be achieved with a thorough oral check, dental x-rays and photography. We’ll also take the time to discuss the results of our findings and any concerns you may have. If you need treatment, we’ll talk about the best way forward and look at the options. There won’t be any treatments during this appointment unless it’s been previously arranged.